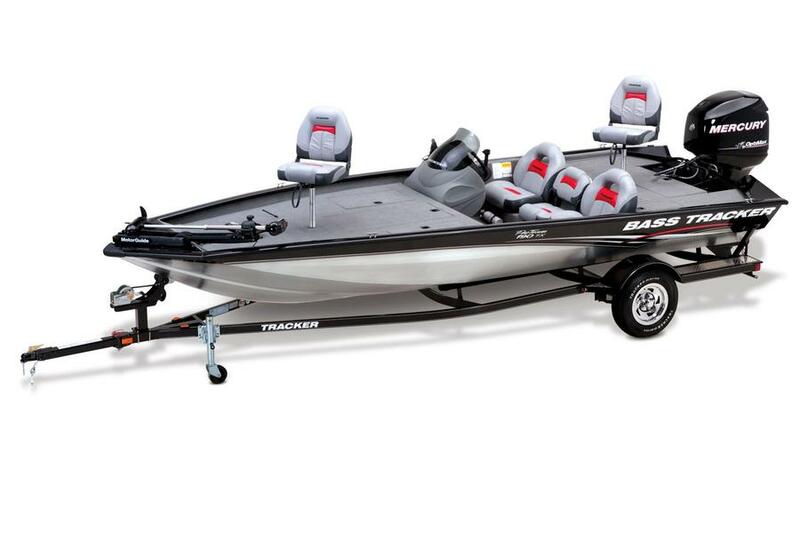 Our flagship aluminum bass boat, built with unequaled dedication to quality and performance. Welcome to the top of the line, and top of the food chain. Approx. package weight 2303 Lbs. 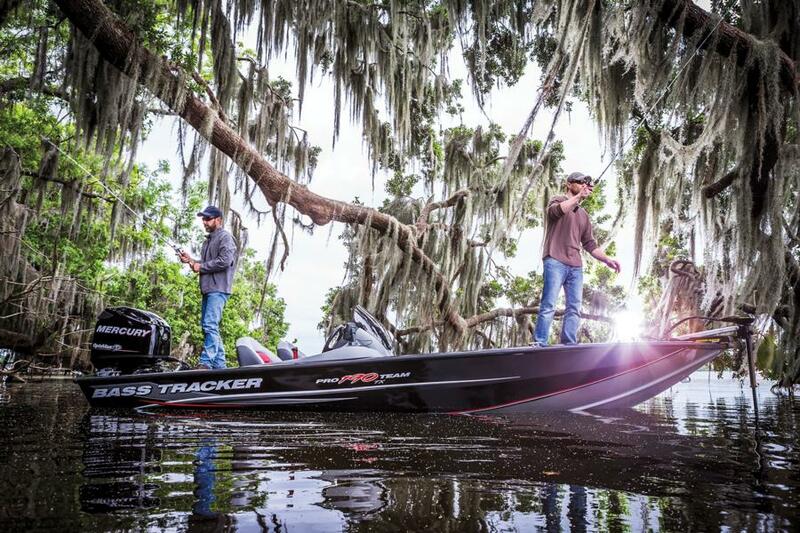 With a massive 7' 5" beam, the stable and smooth-running 190 TX packs more fishing, more value and more performance into every inch than any other boat in its class. Here's how it's built from the inside out: the robotically-welded longitudinal stringer system is welded to the keel, hull sides, and transom, unitizing the entire boat and giving full support to the running surface. The fully welded hull is then protected with our exclusive Diamond Coat finish for a 3x harder finish, 70% longer lasting shine & 20x longer lasting color-fastness. 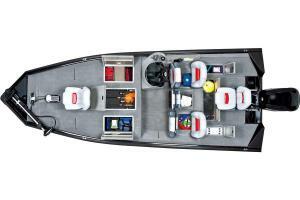 The hull is also fully foam-injected to provide superior flotation. 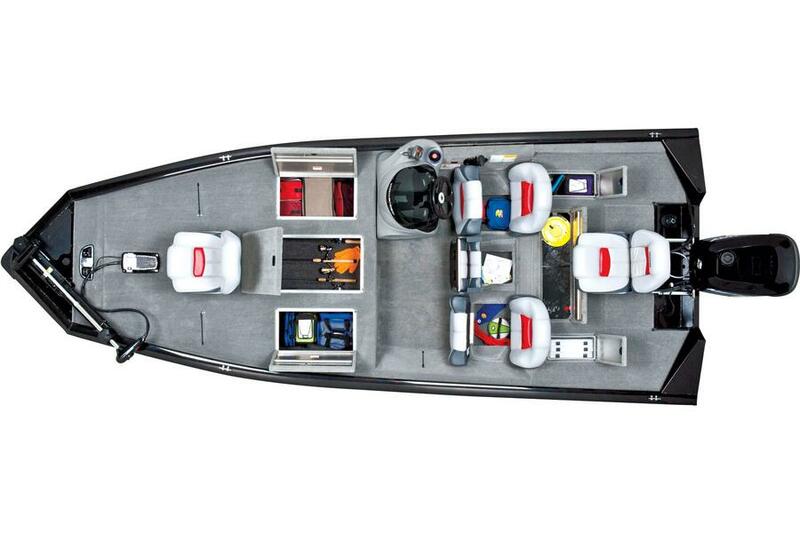 The one-piece, .100 5052 marine-grade aluminum hull features our impressive Revolution Mod V hull, built with reverse chines and a set-back transom for smoother turning and a quicker holeshot. Inside, the impressiveness continues with everything you need to enjoy maximum success. Including a Minn Kota® trolling motor with recessed foot pedal (with tool and drink holders). 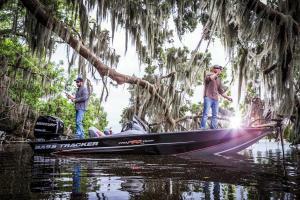 A new Lowrance Elite-3x COLOR fishfinder. Built-in battery charger. 19-gallon (71.92 L) bow and 16-gallon (60.57 L) aft aerated livewells. 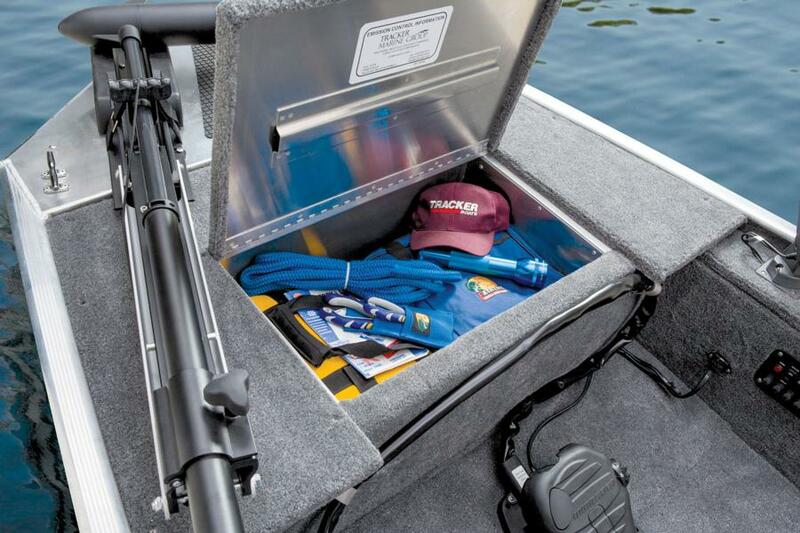 More than plentiful storage. And a locker for stowing rods up to 8’ (2.44 m) long.